Asda will be the first supermarket to stock Free Range Dairy Network milk carrying the Pasture Promise, which is encouraging news for animal welfare advocates. To be awarded Pasture Promise certification, free-range dairy herds must be grazed outside for a minimum of six months each year and farmers aren’t permitted to shoot calves at birth. Dairy cows are used for high-yield milk production for an average of three years and then slaughtered. During this time, they will give birth each year so they don’t stop lactating. While female calves can be reared to replace older dairy cows, male calves have no use. Generally, dairy cows have been bred for higher and higher milk yields and they aren’t considered desirable for beef. Although progress has been made, Compassion in World Farming reports 55,000 calves are still slaughtered at birth every year in the UK. Some bobby calves are exported to Europe to be raised for veal, but this gives them an even crueller and shorter life than intensive indoor dairy and beef production. In December 2015, I wrote an article about the revelation of shocking cruelty in the New Zealand dairy industry. I was living in New Zealand at the time and stopped consuming dairy products after the bobby calf abuse expose. Whether in New Zealand or the UK, infrequent inspections reduce the effectivesness of dairy regulation.. With no supplier traceability, consumers are in the dark about animal welfare unless they buy direct from individual farms. Governments, dairy corporations, supermarkets and consumers must share the blame for the increase in farm animal cruelty. Through poor industry regulation and ever-increasing pressure to produce more food for less, farmers are indirectly encouraged to cut corners, which puts animals, human health and the environment at risk. When cows graze in fields they produce milk higher in Omega-3 fatty acids, which is beneficial for human health. In addition, there isn’t the pollution seen in high-volume indoor units where animal waste is drained into slurry lagoons. It was Guardian environmental journalist George Monbiot’s discovery and report of dairy waste pollution in a Devon river that prompted him to switch to a mostly plant-based diet. It’s important we make up our own mind about our lifestyle choices. But we need facts so we can make informed choices based on the true value of what we’re buying. We can’t trust marketing images of happy cows to tell us which farms are higher welfare. We need real evidence that cows are free to frolic in grassy fields – and frolic they do. The Pasture Promise logo offers consumers this re-assurance while making sure farmers get paid fairly. The milk is more expensive because aside from the higher quality, there are overhead costs in separating free-range farm milk from standard milk. But if we think more carefully when buying milk, in the way we do when making other purchases – we don’t just buy the cheapest mobile phone for example, then we can start to see the value in more ethical food. Free Range Dairy farmers need public support to keep their smaller, traditional farms in business when the trend is towards large-scale dairying. While Asda’s move to support free-range farmers is encouraging, it’s also surprising because supermarkets have been forcing milk prices down with their price wars. Farmers have faced either scaling up or risking going out of business. With their Full Fact Milk campaign, World Animal Protection has been asking supermarkets to offer consumers free-range milk with clear welfare standards. Although I no longer eat dairy products, I buy organic milk for our daughter and support Neil Darwent’s Free Range Dairy vision of stopping the trend of large-scale farming with a return to traditional, more ethical farming. There are free-range standards for pork, beef, chicken and egg production, but there has previously been no clear free-range definition and labelling for dairy. While organic milk is also a higher welfare product, Pasture Promise offers an additional choice for consumers looking for higher welfare milk from farms that don’t meet organic standards for land and feed. 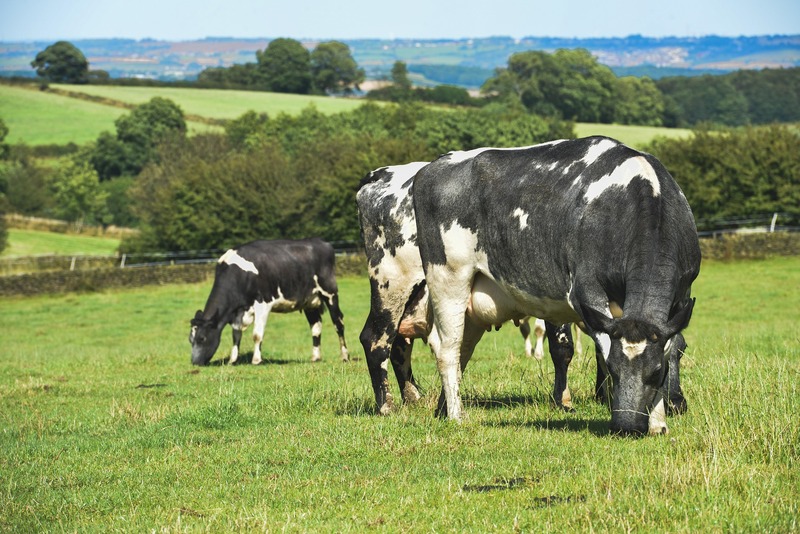 While any premium product requires effective supplier monitoring to maintain consumer trust, the farmers involved in the Free Range Dairy initiative are passionate about raising UK dairy farming standards. Let’s hope farmers looking to make the pasture promise for the wrong reasons don’t put the Free Range Dairy network’s credibility at risk as we’ve seen in the free-range egg industry where ‘free-range’ has been exploited by some. But farmers doing a good job deserve support. While the UK is a nation of animal lovers, seen in the care we give our pets, this love often stops at the farm gate. With the Pasture Promise label, there’s a chance to make a milk choice that gives cows a better life than indoor dairy systems. Cows kept indoors for much of the year are more likely to develop lameness from bacterial infections of lesions and ulcers caused by concrete floors, poor foot trimming and long periods of standing. Cows kept indoors for long periods and without the space or adequate bedding to lie down for proper rest are also more likely to develop mastitis, painful inflammation of the udder. Compassion in World Farming advocates for higher welfare farms with better housing, hygiene and husbandry for farm animals. There is no need for large-scale milk production that harms cows and the environment. We must find the level at which people can consume dairy in less harmful amounts while cows enjoy a more natural life. What can you do to stop intensive dairy farming ? As consumers we can help create a kinder, healthier future. You can make sure you’re not drinking zero grazing milk by looking for Pasture Promise milk or organic milk and if your local retailer doesn’t stock it, ask why not! Compassion in World Farming produce a Compassionate Food Guide you can download or print to help you when you’re shopping. The guide explains the welfare standards behind food labelling schemes such as organic, RSPCA Assured, and Red Tractor, with organic the highest welfare and Red Tractor the lowest of the schemes on the list. M&S, Waitrose and The Co-Operative Food are the top supermarkets for supporting compassionate farming. And if you’re curious about plant-based milk, I can vouch for oat milk. It’s delicious, healthy, and kind to cows – and as long as you have oats, water and a blender in the house, it’s on tap too!